Concerned residents joined police in a neighborhood crime walk on Benning Road, in the Northeast D.C. neighborhood where four people were wounded in a shooting Friday — and another shooting occurred. WASHINGTON — Concerned residents joined police in a neighborhood anti-crime walk on Benning Road, in the Northeast D.C. neighborhood where four people were wounded in a shooting Friday — and another shooting occurred. Early Tuesday morning a man was shot several times in the 6200 block of Eastern Ave. NE, near a Shell gas station. He was taken to the hospital in cardiac arrest. Monday night, gunfire didn’t deter frustrated residents who organized a crime walk to make their neighborhood safer. 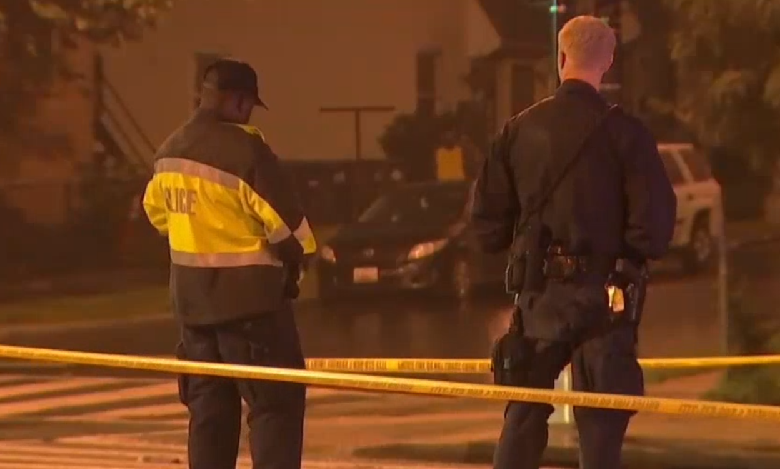 D.C. police responded to four shootings Monday. Homicide detectives responded to a man who was found found suffering from a gunshot wound and unresponsive at 14th Street and Downing Place, NE. Friday night, in the same 1800 block of Benning Road NE, four men and a woman were hurt in the shooting, but are expected to survive. Six men were killed over the weekend in the District in several shootings.